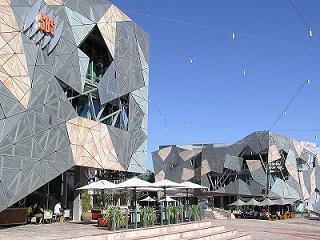 Federation Square is the main landmark in Melbourne's city centre. Melbourne is the second largest city in Australia. It lies on the coast in the South East. 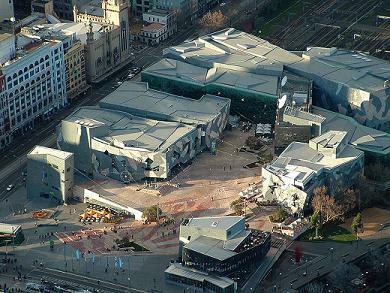 Federation Square is the main landmark in Melbourne’s city centre. The square offers culture, shopping, cafe’s and restaurants. The location is between Flinders Street and the Yarra River above Flinders Railway Station.